People talk about the horrors of war, World War II being a prime example. What could top the horrors of war? Adding an army of reanimated corpses into the mix! Released November 9, 2018, “Overlord” (2018) does exactly that and more. Directed by Julius Avery; produced by J.J. Abrams (“Star Wars: The Force Awakens”) and Lindsey Weber (“10 Cloverfield Lane”); distributed by Bad Robot Productions (owned by Abrams) and Paramount Pictures; the film is written by Billy Ray (“Captain Phillips, The Hunger Games”) and Mark L. Smith (“The Revenant”). Set on the eve of D-Day, 1944; “Overlord” (2018), is the story of a group of Allied paratroopers sent into a small town located in Nazi-occupied France. Their mission: to penetrate and destroy a heavily fortified Nazi Church being used as an Axis Power radio tower. However, as the soldiers approach their objective, they learn that this town is much more than the location of a mere military operation, but rather the home to a Nazi laboratory hell bent on creating an army of the undead to serve under the Third Reich. 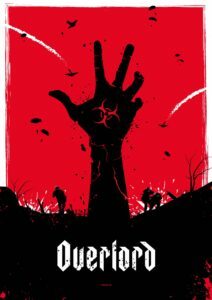 Overlord (2018) stars Jovan Adepo (“Fences”), Wyatt Russell (“Everybody Wants Some! !”, “22 Jump Street”), Mathilde Ollivier (“The Misfortunes of François Jane”), and Pilou Asbæk (“Game Of Thrones”). Undisputedly one of the most absurd B-movie (or low budget commercial film) ideas this year, “Overlord” (2018) is one of the most terrifying and exhilarating motion pictures of 2018. The film is perfectly balanced by the real-world aspects of World War II, featured primarily in the first half of the film, with the supernatural elements more in the second half. Director Julius Avery describes “Overlord” (2018) as something that “isn’t your average war movie,” with a second half that is “bonkers, completely bonkers.” “There’s probably nothing else like it out there.” “Overlord” (2018) is layered with a handful of masterful scenes. Without spoiling too much, the opening, which takes place in the form of an aerial battle, is utterly breathtaking, though that feeling of being on the edge of your seat doesn’t end there and is constant until the credits roll. The makeup, set design, characters, and overall vibe of the film feel genuine. There are subtle things that can tell you if a director has gone up and beyond the norm. By that, I’m referring to the length of an unbroken shot. The director has multiple minute long sequences of unbroken shots which, while most will not notice, are genius additions and shows that he has real talent and is someone to keep an eye out for in the future. I do have some minor gripes with the film, though nothing that can make me even remotely dislike this film. “Overlord” (2018) is a little too fast paced for my liking. The movie goes very quickly without taking enough time to explore and develop certain characters. A bigger problem I had was with choice of protagonist. Boyce (played by Jovan Adepo) is a rookie, a recently drafted soldier who is about to get his first taste of bloodshed. I understand the strategy of the audience being exposed to the environment for the first time just like what is happening to Boyce, but I just wish this movie was instead told from the perspective of a worn out soldier because it would have taken away some of the clichéd elements. One such character would be Wyatt Russell’s supporting lead, Corporal Ford, an experienced explosives expert. Another small problem I had is the use of typical horror tropes, such as having characters make illogical decisions, like going down a suspicious hallway, something which would likely never happen in reality. Another example would be having the bad guys have terrible aim when using firearms, a common method used by screenwriters who have to make sure not to kill any of the highly paid leads. 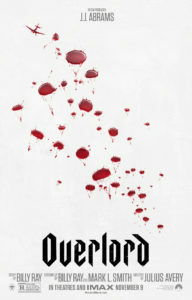 Critics have been primarily positive in regards to “Overlord” (2018). Rotten Tomatoes critics rated the film “certified fresh” at 81%, with the audience score being 72%. 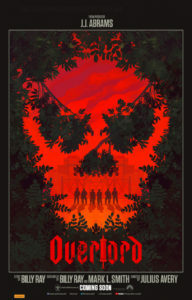 Their summary was, “part revisionist war drama, part zombie thriller, and part all-out genre gorefest, “Overlord” offers A-level fun for B-movie fans of multiple persuasions” (Rotten Tomatoes 1). IMDb rated the film 7.1/10; Empire Magazine, ⅗; Cinemascore, B Grade; and Metacritic, 60%. 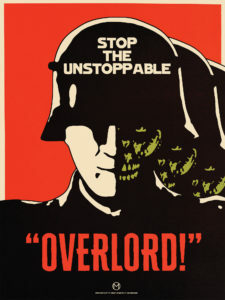 Overlord (2018) has done quite poorly at the worldwide box office, having gained $10.2 million (on a $38 million budget), making it number 3 at the box office this past weekend, falling in behind Dr. Seuss’ The Grinch ($67.5 million box office), and Bohemian Rhapsody ($31.2 million). While some websites may have not been as positive as others, the general consensus has been that “Overlord” (2018) is worth every penny. 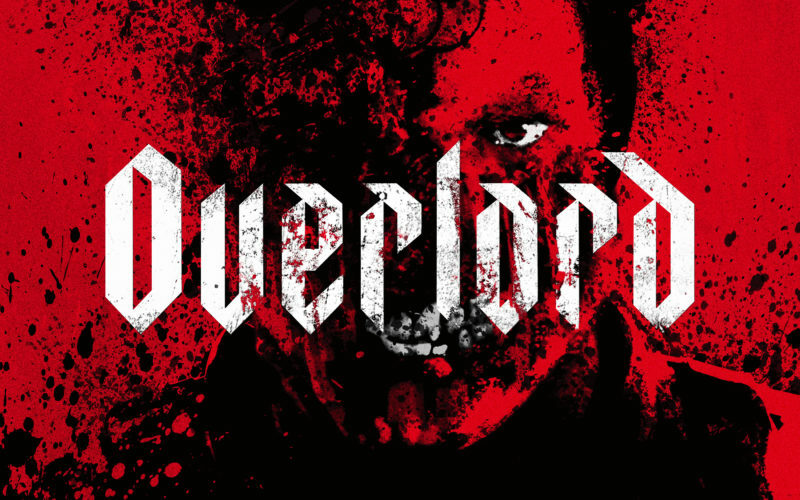 In summary, I had a blast watching the genre-blending “Overlord” (2018) and while this movie may be a little clichéd in some areas, it’s an overall great watch. I would rate the film at 87%. Due to a lack of other Grace students having seen “Overlord” (2018), there is no review from someone from our school community. If you want to see more of these artistic, B-movie films, go out and (financially) support “Overlord” (2018), giving the studios involved more reason to support and produce films like this one in the future!